Cary Grant was a movie star when movie stars were stars if you get my drift. He’s probably not relevant to the Gen X. Y’s and Z’s (are they here yet?) but he had style, and talent did old Archie Leach … that was his real name. Cary Grant was a branded product for the Hollywood studio system and no-one did better business than those factories. 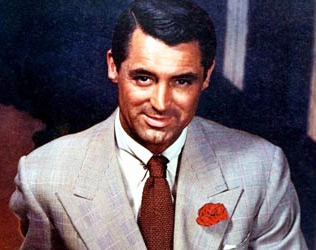 Stars like George Clooney owe a lot to Cary Grant an icon of style! Now I’m not writing about movie stars here. I’m writing about the importance of Style Guides to content developers, whether they are building, writing, or video-ing content. Whether they are designing training programs or sending out email marketing campaigns > it’s nice to have guides in place for look and feel purposes, branding, version control, recurring text like copyright, fonts, colours and more. Style guides should be global and accessible. Style guides formats should be usable to those that need to use them. Style guides should be simple, uncluttered and not a graphic designers view of how they should present and be used. Most importantly, Style Guides should be communicated and adopted by all in the business or organisation. I’m creative and I like to break the mould sometimes and add personality but I appreciate when Style Guides and Templates are used when it makes the project clearer and easier to format. Develop Style Guides and Templates then manage projects. Was that really his name? Archie Leach, no wonder he changed it. I did not know that. What a fountain of information you are. But style guides are good they reduce thinking and creativity among the work force, which is more efficient and thus cost effective. But in a GOOD way. People don’t want to strain their intellectual and creative neurons just to bang off an email. We are usually happy to have a standard form to use, and as you point out, it looks good too.